This piano desk lamp doubles as both an attractive addition to your office decor or as a functional accessory for your piano music lighting enjoyment. 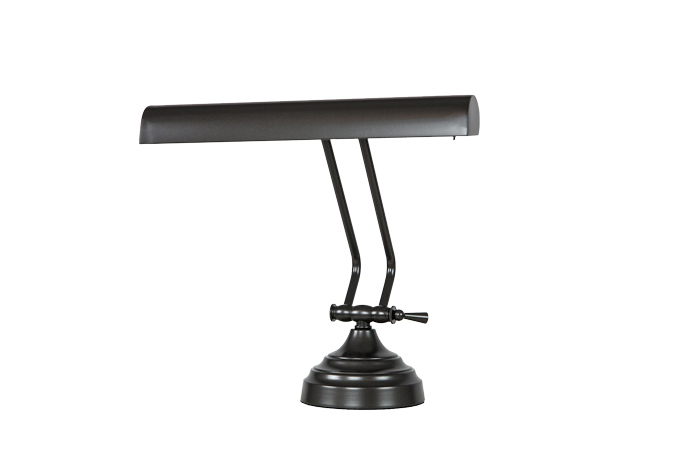 This piano lamp features an adjustable arm to direct task lighting and the power switch is conveniently located on the base. 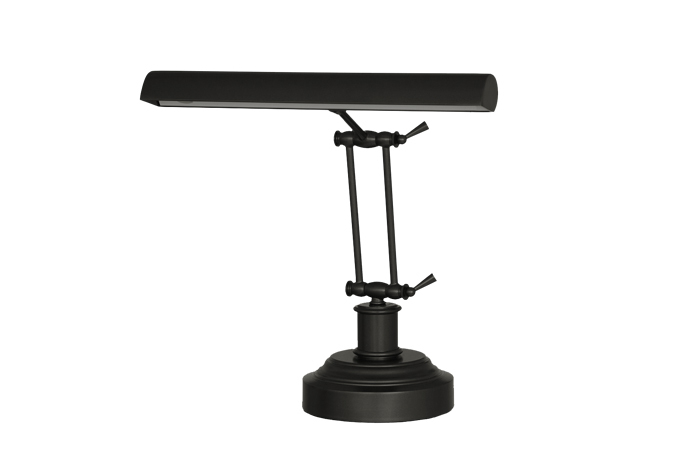 The base on this LED piano desk lamp is weighted for added stability. 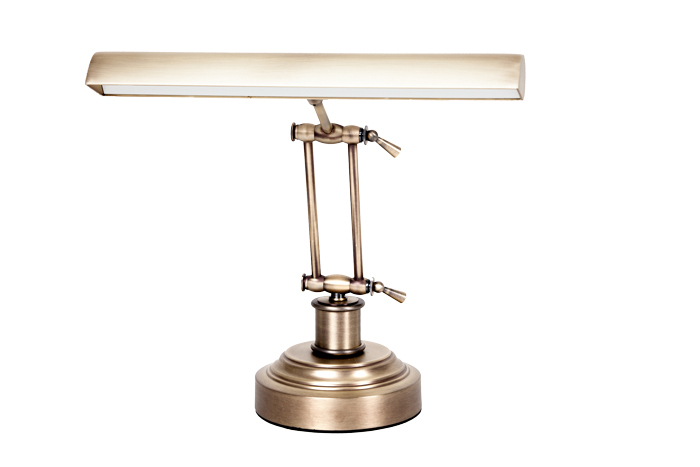 Simple and ElegantThe 19" Adjustable LED Grand Piano Lamp features a powder-coated antique brass finish. The powder coating will ensure a lifetime of use, free from scratching and marring. 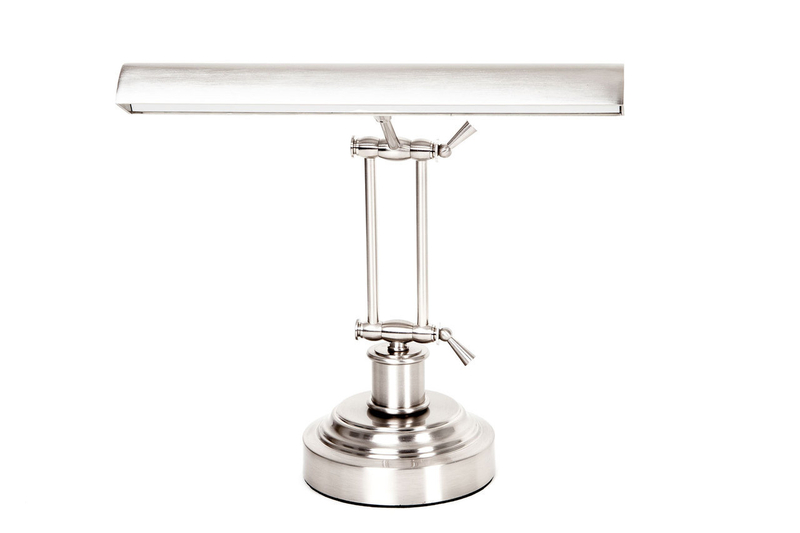 This lamp was rolled, polished, buffed, sprayed and inspected for maximum quality. Cocoweb LED lighting technology puts the this piano lamp in a class of its own, unmatched by any other similar lights on the market. This lamp gives sheet music illumination a leap in energy efficiency and provides lighting that resembles natural sunlight. 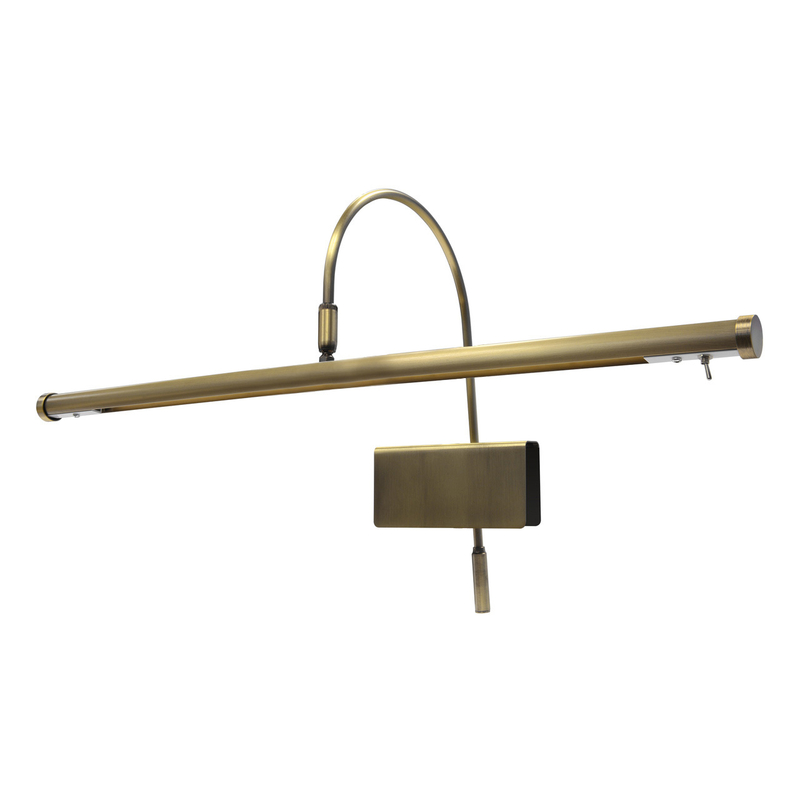 The LED diodes are pre-installed in this lamp and consume less than half the electricity of traditional light bulbs while providing ample illumination. Led Technology All of our piano lamps use advanced LED technology to get you the most light for your purchase. Each node has a warm color temperature of 2700k and an average burn time of 50,000 hours. Dimmer The included dimmer gives you the option to set the brightness of your lamp to your desired taste. The dimmer plugs in directly to the back of the lamp with a five inch cord, making it easy to control and always keeping it close by. The other end of the dimmer is attached to the wall adapter, which has a total length of ten feet and a discrete ultra thin cord, allowing plenty of roaming space for this lamp. Adjustable Height This piano light fixture has an adjustable height feature with a curved neck that swivels, allowing for ample illumination while playing your piano. 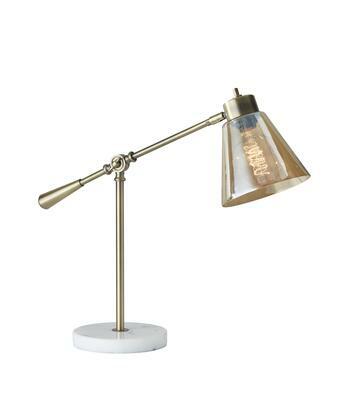 You may adjust the height of the lamp by moving the clamp up and down for an adjustment range of up to 2 inches. 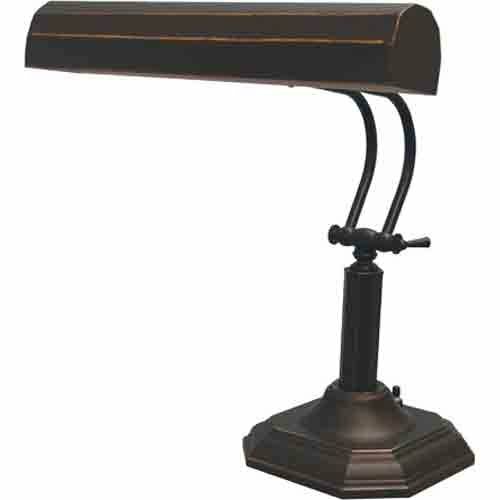 Adjustable Shade The 19" Adjustable LED Grand Piano Lamp comes with a 19" swivel shade design that allows light to be directed however you need it. Fits Most Pianos The felt-lined clamp base measures 5-5/8" by 2-1/2" and adjusts from 1-1/2" to 3/8"; with a factory formed opening for the 10-foot black cord. 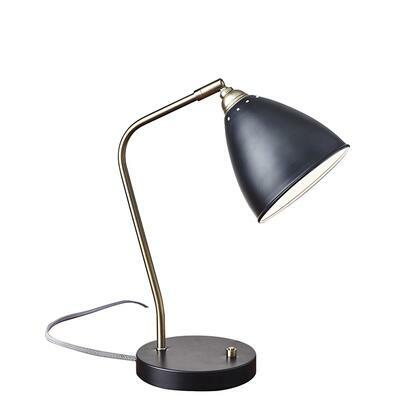 This lamp will fit most pianos from major brands such as Yamaha, Steinway, Boston, Baldwin, Bosendorfer, Suzuki, Roland, Kawai, Casio as well as other piano brands. If you're in need of piano lights for baby grand, look no further! Antique brass resin table lamp with gold silk cut corner shade features an on/off switch.Shade Size: 4/6 Top, 9/12 Bottom, 9 Tall. Unique silver and gold spray finish. This Signature Designs by Ashley Jae metal desk lamp combines retro-inspired design and industrial-chic styling. Its the very best of form and function, making for a job so well done. It has an on/off and in-line switch and requires a Type A bulb (not included), that are 40 watts max or 8 watts max CFL. Wipe with a soft dry cloth to clean. Dimensions: 33H x 14.5W x 7.88D. 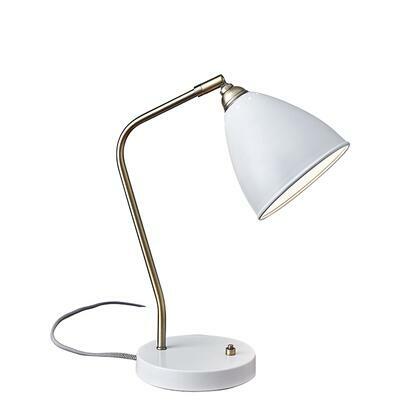 Aluminum desk lamp features a stylish curved design to seamlessly blend into your modern decor. 10-Watt nonreplaceable leds provide an average rated life of 20000 hours for long-lasting performance. The shade includes a built-in diffusor to evenly distribute light and eliminate glare. Plus it rotates 60 degrees to help you direct its bright light where you need it most. Dimming switch conveniently reduces the brightness level to provide just the right amount of light without straining your eyes. 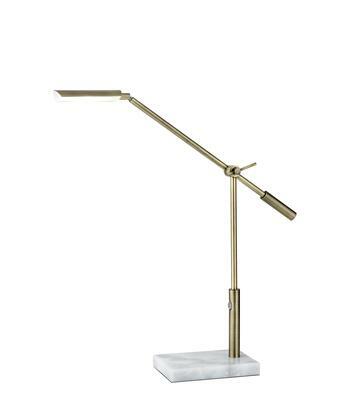 Led desk lamp features a sleek contemporary design that's made from an all-metal construction with a bright chrome finish. The 3-watt leds provide an average rated life of 20000 hours for long-lasting performance. 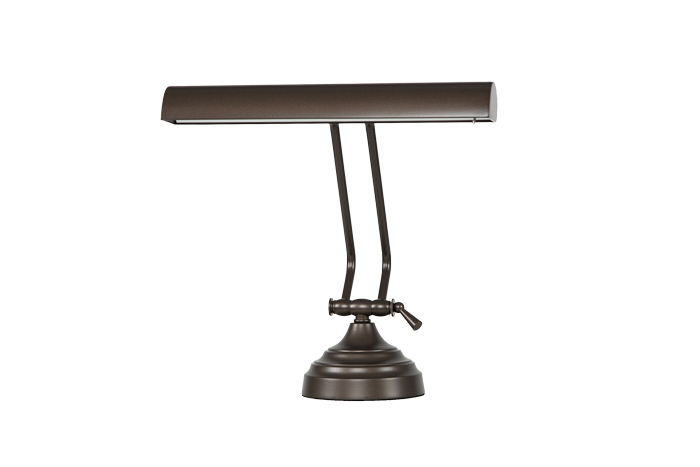 Height-adjustable arm and shade stand about 17 tall in the average user position and can be repositioned to easily direct light and prevent you from straining your eyes in low-light settings.